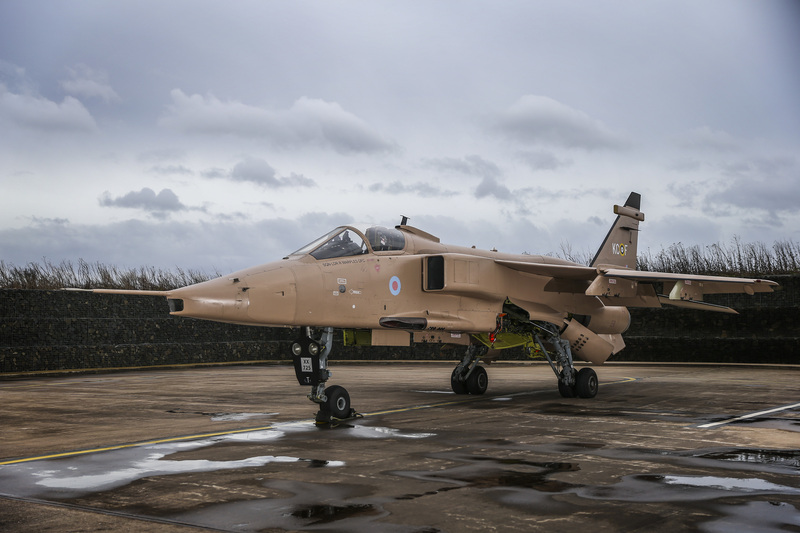 2016 marks an important anniversary for the men and women of 238 Squadron; the current custodians of ‘Pinky’, XX725, one of Royal Air Force Cosford’s Jaguars. 75 years ago, 238 Squadron deployed to the North African desert, where it remained on continuous operations for almost three years. The Squadron took part in some of the most notable engagements in the North African campaign, including the Battle of El Alamein (the anniversary of which will fall next year). In honour of this anniversary ‘Pinky’ was ‘rebranded’ with a 238 Squadron WWII KC-F letter code group. The Squadron got through a number of KC-Fs during the desert campaign, but Hurricane Mk II c – HL609, was the personal aircraft of OC 238 Squadron during the autumn and winter of 1942. In this aircraft, Squadron Leader Roy Marples DFC lead the Squadron on one of the most audacious and yet frustratingly under reported operations of all time – Operation Chocolate. After El Alamein, with Axis forces in full retreat, it became increasingly difficult for allied aircraft (particularly single-engine fighters) to reach any meaningful Axis targets. It was therefore decided that a pair of squadrons (of which 238 Squadron was one), would fly some 400 miles behind enemy lines and establish a commando-type airfield, from which they could strike at the panicking Axis troops. Fuel was flown in by a ramshackle assortment of transport aircraft, which also carried forward the necessary maintenance personnel. The operation was a dazzling success, the Germans being totally unprepared for attacks so far behind their own lines. More than 300 vehicles and 14 aircraft were destroyed in the course of the 4-day operation, with only 3 Hurricanes being lost from the 36 which took part. Of all the stories from the Squadron’s time in the desert, this is the most interesting and it is for this reason that the KC-F letter code group was chosen. 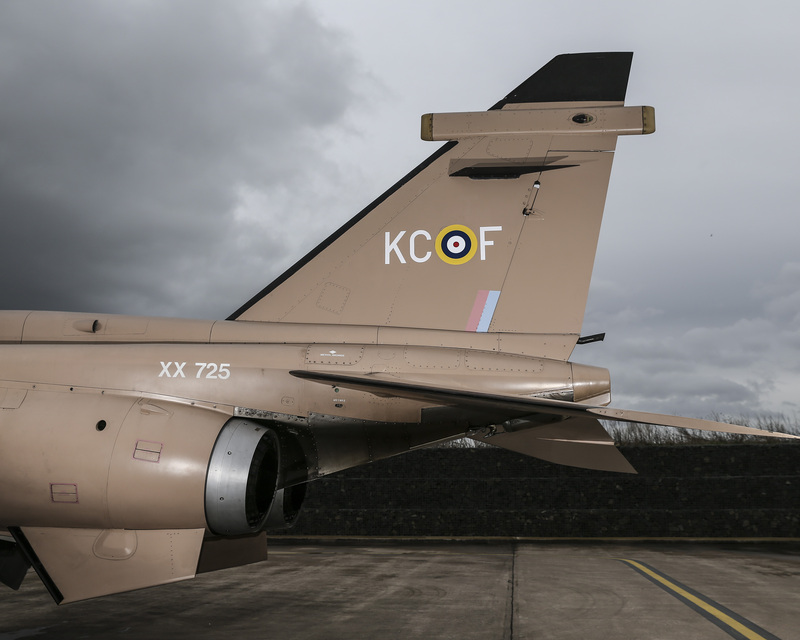 The historic Squadron letter code group and roundel has been applied, in vinyl, to the fin of XX725. In addition, Squadron Leader Marples’ name has been applied beneath the cockpit. 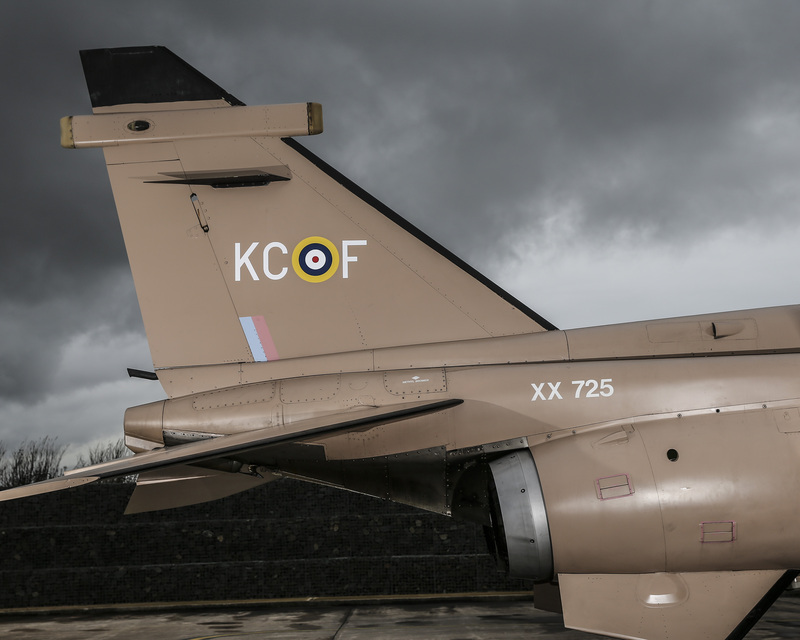 A big thanks to Corporal Tom England, one of 238 Squadron’s (current) engineering instructors, for all of the research in to this part of the Squadron’s history and to Corporal Tim Hammond, one of RAF Cosford’s photographers for the picture of ‘Pinky’. 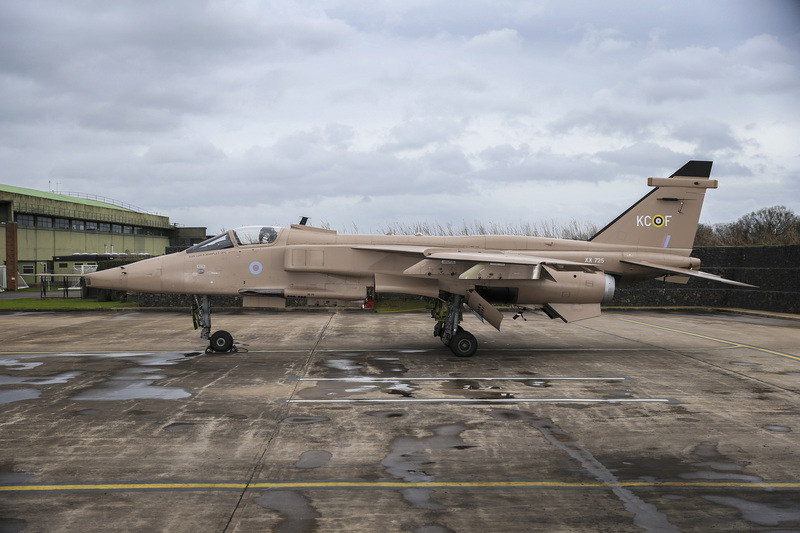 The Royal Air Force is always looking forward while remaining proud of its heritage. Here are the pictures Tom England send me a while ago.